Vacationers often flee to mountains or remote beaches to find relaxation, but a new concept from German designer Goetz Schrader’s would let you get away from the daily hustle without leaving your city. Schrader's fantasy project “15 Minute Vacations” revolves around micro rooftops built out of construction-site scissor lifts and made to rent. He tricks them out with a bar, lounge chairs, light fixtures, even grass to lay on. 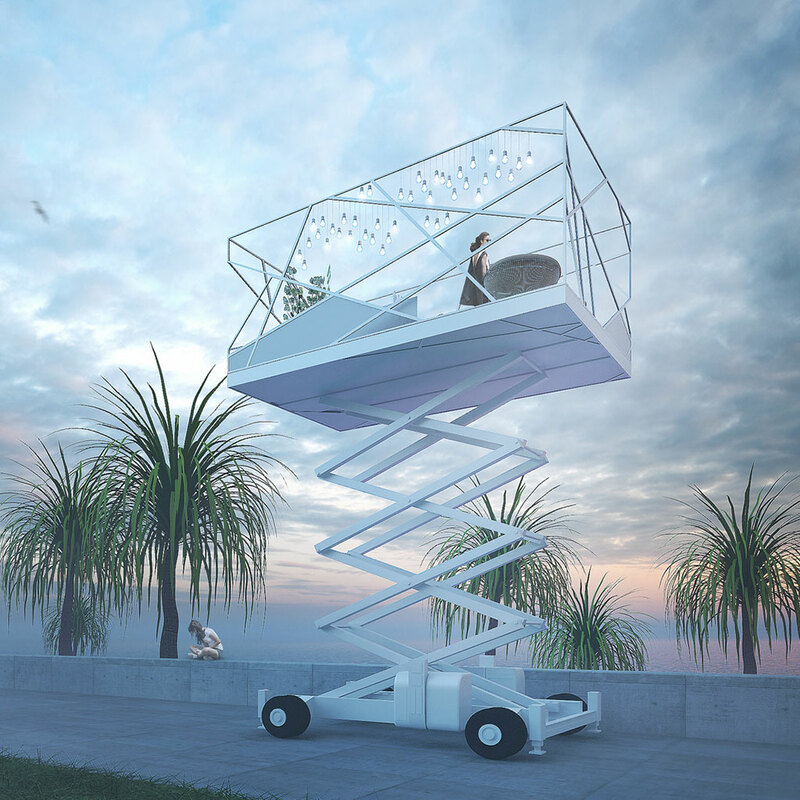 Though less involved than booking a cabin or bungalow, the elevated set-up would still theoretically help stressed city dwellers recharge over sunsets and cocktails. Alas the rentable rooftops are still just an idea waiting for production, but one that's tailor-made for the AirBnB generation. To own one of the best views in the city, if only for a few moments, sounds good to us. And for any doubters out there, we submit to you that renting a patio in the sky is not as weird as renting a wagon in someone’s backyard.